Address: 2F, Building A, Hechangtai Industry Park, No. 51, Pinshun Road, Guanlan Street, Longhua District, Shenzhen, China. ※ Assembly of gears, vibrators, pulley, etc. ※ Gears made by hobbing machine or powder metallurgy. Gear Motor: 6mm-42mm round type gearbox, and right angle worm gearbox, we have both plastic and metal gearbox, gearbox type including spur gearbox, planetary gearbox and worm gearbox. 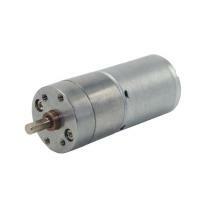 Coreless DC Motor: 4mm-10mm coreless dc motor, brush type. DC Brush Motor: 10mm-42mm brush dc motors, precious metal brush or carbon brush. Vibration Motor: We can add eccentric wheel on the brush dc motor and coreless dc motor. The size of eccentric wheel can be customized. Pls download the PDF document for referrence. Quick Reply All enquiry or email be replied in 12 hours, no delay for your business. Professional Team Questions about products will be replied professionally, exactly, best advice to you. Quality Assurance ROSH/ISO 9001:2000 certificated. Before shipment Take photos, send to customers for confirmation. Only confirmed, can be shipped out. Motor specification(no-load speed ,voltage,torque ) and shaft length can be customized according to customer’s requirements. With 10 years experienced engineer, we can custom made the performance you need. We can adjust the voltage, speed of the motor, and design the suitable reduction ratio of the gearbox. We can develop new type gearbox according to your requirements if your quantity can meet our requirements. We can produce the gears by our own hob machine, which we can control the quality of gearbox better. We’re one company who can produce both the motor and the gearbox, in this case, we can provide high quality control for the whole gear motor. Q: How to select a suitable motor? A: If you have motor pictures or drawings to show us, or you have detailed specs like voltage, speed, torque, motor size, working mode of the motor, needed life time and noise level etc, please do not hesitate to let us know, then we can recommend suitable motor per your request accordingly. Q: Do you have customized service for your standard motors? A: Yes, we can customize per your request for the voltage, speed, torque and shaft size/shape. If you need additional wires/cables soldered on the terminal or need to add connectors, or capacitors or EMC we can make it too. Q: Do you have individual design service for motors? A: Yes, we would like to design motors individually for our customers, but it may need some mould charge and design charge. Q: Can I have samples for testing first? A: Yes, definitely you can. After confirmed the needed motor specs, we will quote and provide a proforma invoice for samples, once we get the payment, we will get a PASS from our account department to proceed samples accordingly.